This is a complete guide to riding western horses, by one of the outstanding professionals in the horse show world. From training to showing to teaching and judging, Richard has done it all and he shares his knowledge of western horsemanship in this book. 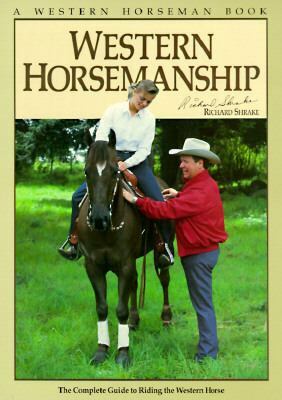 (8 x 11, 144 pages, b&w photos)Shrake, Richard is the author of 'Western Horsemanship', published 2002 under ISBN 9780911647099 and ISBN 0911647090.